NECA is continuing their roll-out of every Jason Voorhees character version from the films and this year they are going to release a new ultimate figure from Friday The 13th 2009. 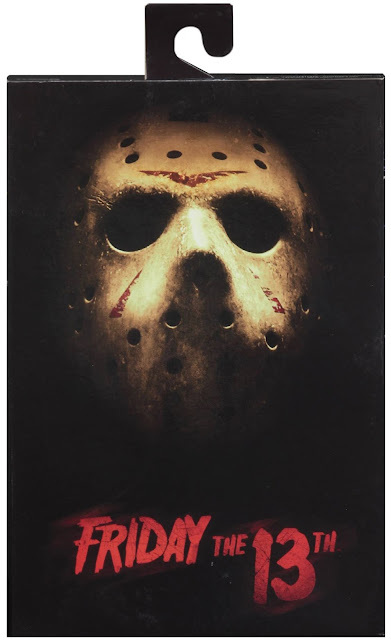 The company first sold this incarnation of Jason when the film was released theatrically in 2009, along with a replica hockey mask and machete from the movie. 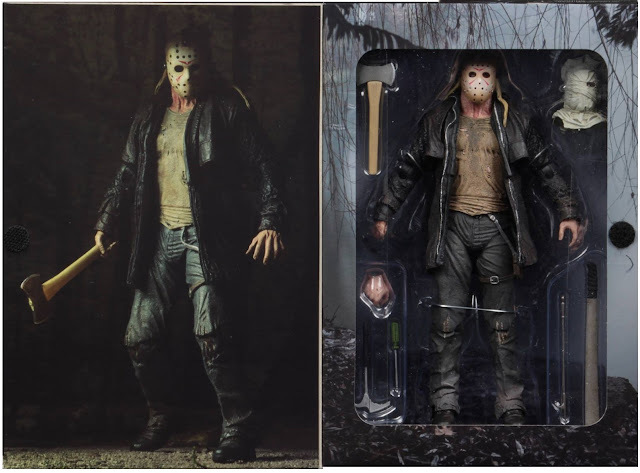 The 2009 film re-imagined Jason in a different (but still terrifying) light, and this figure is extra-detailed to match. Now the final packaging has been revealed. 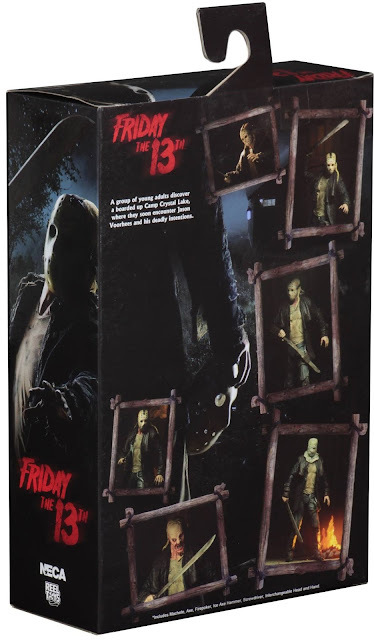 See the images below and look for the figure online and in stores very soon!